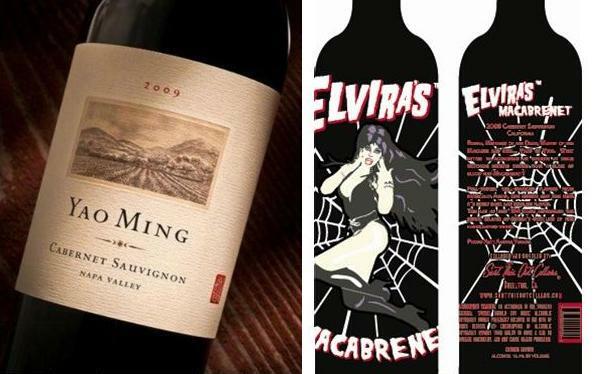 Yes, Yao Ming made a wine and Elvira made a wine. This is not breaking news, it’s just weird, and if I had to pick one, it’d be Yao’s for sure. But let’s get to the real shocker here, folks. BREAKING NEWS: Elvira is alive! Is she like 100? I thought this chick was like, 80, when I was in elementary school sneaking peaks at signs in grocery stores of those gigantic jugs. Kidding me with those things? Defying the laws of science and gravity. Check out that cat on the right too… you staring at the wine, buddy? Speaking of her wine… what a joke. 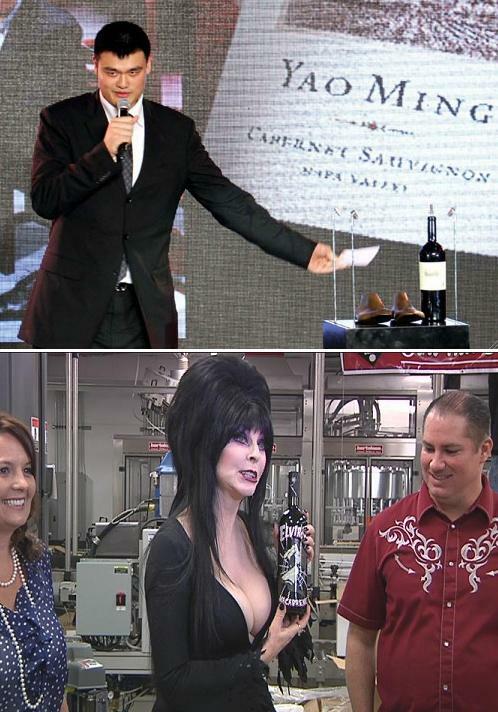 Yao’s at least looks classy… I expect to see Elvira’s wine on the shelf right next Boone’s Farm at your local 7-Eleven. This entry was posted in Basketball, Celebrities, News and tagged elvira, elvira vs. yao ming, elvira wine, wine, Yao Ming, yao ming wine. Bookmark the permalink.